Local store owner Melissa McGrath is using holiday decor to help drum up local business. 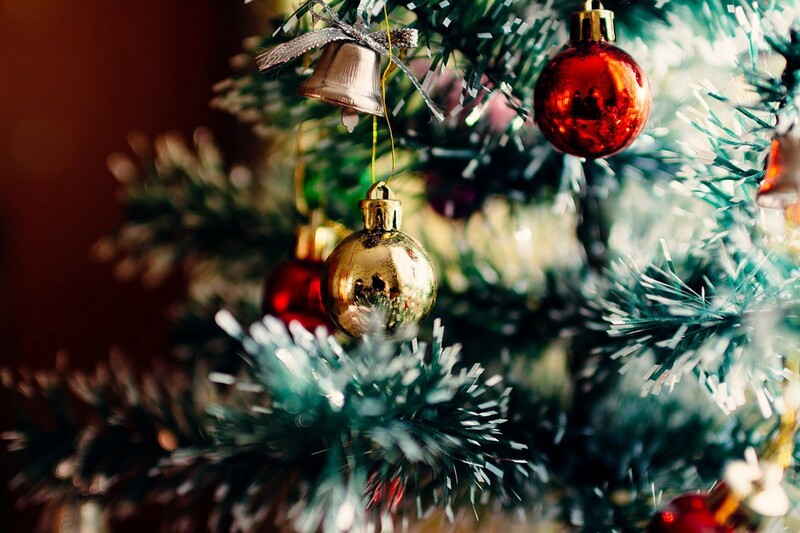 Take a stroll down Main Street this holiday season, and there’s no doubt you’ll see an array of festive decor bringing cheer to the town’s central thoroughfare. But last year, Melissa McGrath, owner of Navy Blue Home and Gifts, hatched an idea to make the decor a little more Moorestown specific. 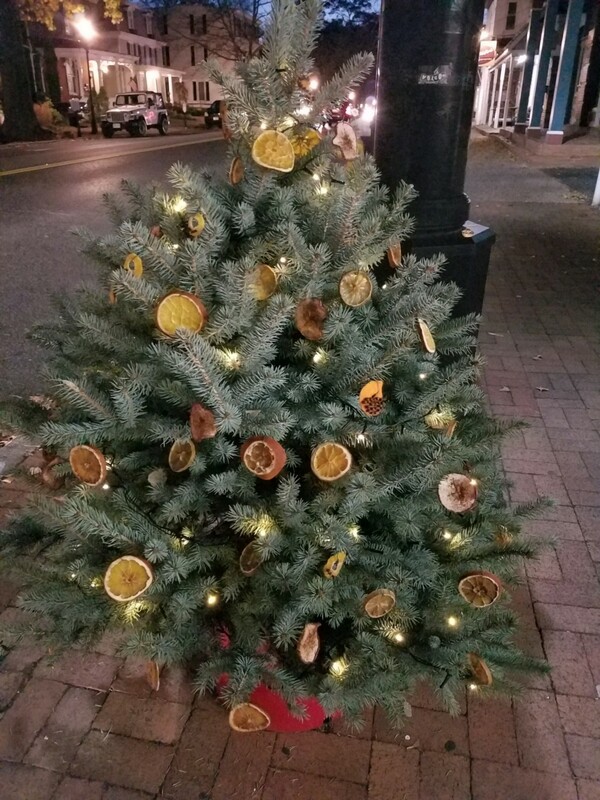 During a trip to see Nantucket’s Festival of Trees, McGrath noticed the island’s main shopping district was lined with trees decorated to reflect the flavor of local businesses. So she thought: Why not bring that idea to Moorestown? 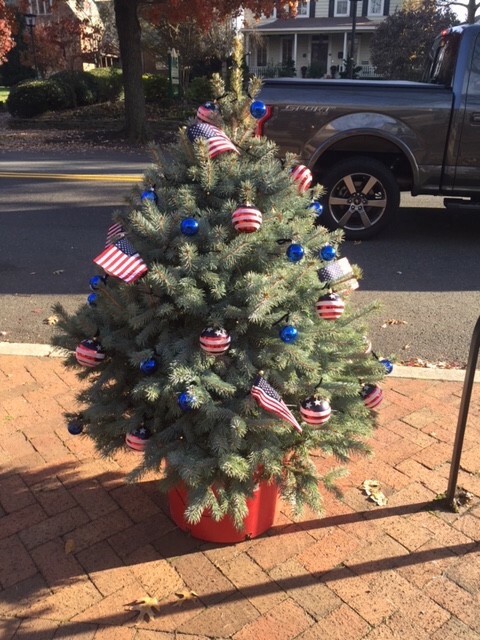 This December marks the second year McGrath will do so, and with more businesses on board and ideas for how to branch out into the community, McGrath is hoping the plotted trees along Main Street become an annual Moorestown tradition. Melissa McGrath, owner of Navy Blue Home and Gifts, said because her store is a Made in the USA shop, she used red, white and blue decor to embellish her tree (left). Donna Wood, owner of Health Haven of Moorestown, dried grapefruit, cinnamon sticks, pears and other fruits and used them to decorate her tree last year (right). She said she wasn’t sure what to expect since it was her first time doing anything like this, so she went to Flagg’s Garden Center in Moorestown and got as many red potted trees as she could. McGrath approached local businesses and had around 25 sign up for a tree. The businesses purchased the trees and decorated them according to their speciality. Burl-Moor-Driben Animal Hospital hung plastic dogs, cats and bones on their tree, while McGrath, owner of a Made in the USA shop, used red, white and blue decor to embellish her tree. Donna Wood, owner of Health Haven of Moorestown, said she was excited when McGrath approached her with the idea. Since her store is health-themed, McGrath dried grapefruit, cinnamon sticks, pears and other fruits and used them to decorate the tree. The response from passersby was overwhelming. Wood saw a slew of people coming in who saw her homemade ornaments and were interested in what she was selling. “I couldn’t believe how many people came into the store and asked about it,” Wood said. Wood said she’s thankful to have McGrath on Main Street drumming up creative ideas like this. She said the trees lit up and created an inviting ambience for people to stroll and shop. Last year, Wood found herself wandering down Main Street curious about how other businesses had decorated their trees. Wood is still debating how she wants to decorate her tree this year. She said the plan is to use entirely recycled materials, though she hasn’t decided in what way. McGrath said she sees the trees as another tool for businesses owners to catch shoppers’ eyes. She said the trees don’t have to be Christmas themed and any business who has expressed interest has been invited to join in. People in town have come to McGrath requesting to join in on the fun. She said she’s already brainstorming for next year about how she can have people sponsor trees if they want to decorate one in honor of a family member.